Successful project “anders“ (“different“) goes into the third round - KRASS e.V. 30 participants, phenomenal ideas and unlimited possibilities: Under the heading “diversity“ the integrative project from KRASS e.V. brings together teenagers and teenagers with displacement experience, who want to express their “differentness“ through movies, fashion, art, rap, graffiti and poetry. A final event with a diverse stage-program is waiting for the audience on May 13​th​ in JAB. Paint tins, stencils, stickers and canvases – various materials are spread on several tables. On stage there are already rapping teenagers with microphones in their hands to be seen. Another group of teenagers is still standing gathered in the corner of the JAB hall, thinking about how they can manage to show, express or rap about being “different.” With these questions in mind, the 14 to 21-year-olds will face-off using different artforms . They are being supported by the project instructors Jason Firchow and Barbara Rückert. “The original ideas are from the participants, we are just supporting them during the realization process,” says Barbara Rückert, who is impressed by the initial input. From movies, fashion, art, music and rap, to graffiti and poetry – the participants of “anders 3.0“ (“different 3.0“) have many ideas, interests and plans, which they eventually would like to present to an audience. Nadja, Maxin and Sofia from the Dieter-Forte Comprehensive School want to start their own costume line, which they plan to take in creative directions. For example, the line does not confine itself to using fabric alone, it also consists of alternative materials, such as paper, news paper and so on. A music video is also being planned by a group of teenagers who want to grapple with personal concerns by using multimedia. On the contrary, Ahmad has no clear idea which part he wants to play. Still, the 15-year-old pupil with experience as a displaced person, has clear interests and hobbies: “I like performing my own lyrics,” says the comprehensive school pupil (Heinrich Heine Comprehensive School in Düsseldorf). Together with his family Ahmad left his home country of Syria, and has been living in Düsseldorf for a year now. It is extremely important for the course instructors that the participants be proactive, and on a very personal basis. Whether the texts will be in German, English or Arabic is up to them to decide. “We think that it’s a good thing when the participants come to the project with foggy thoughts and initially do not know what they want to do, because here we come up with the ideas together, and work on them together as well“, say the KRASS’ projekt instructors. 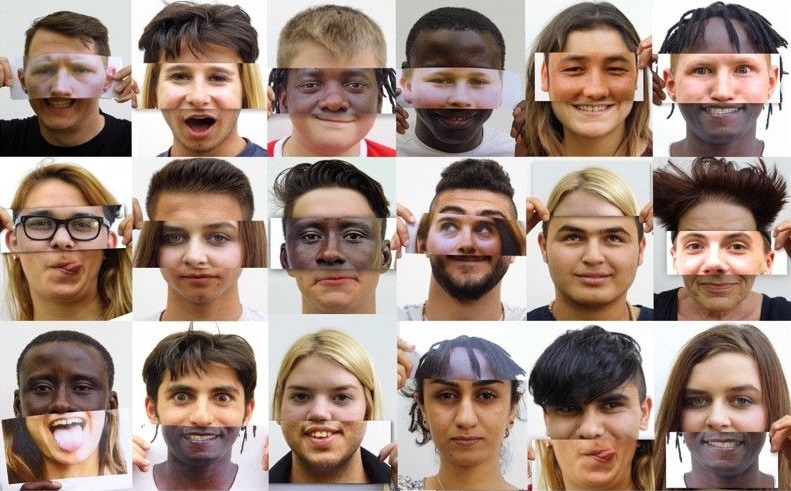 Familiar faces from the previous round of “anders“ (“different“) are involved again: Zartosht has used “anders 2.0“ (“different 2.0“)as a platform to reveal his thoughts on the topic of diversity to the public. The poem which he presented at the final event contrasts two emigration experiences: An escape from Germany due to the Second World War, and an escape to Germany (current situation). The successful KRASS’ project is not only well received by the participants and the audience, but also in schools: “We got a lot of feedback from teachers, saying that the communication between regular pupils and pupils with experience as refugees has improved through “anders“ (“different“),”explain Barbara Rückert and Jason Firchow. Moreover, friendships are being built due to the project: „Our aim is to get pupils from regular classes and pupils from lateral entrantclasses to approach each other, to pull together and come into contact through creativity“, says Barbara Rückert. All media representatives and all those who are interested are cordially invited to the final event of „anders 3.0“ („different 3.0“) on May 13th, 2018 in JAB. Further information on the event program and start time will follow in the coming weeks.